KIBERA.Nairobi(Kenya). 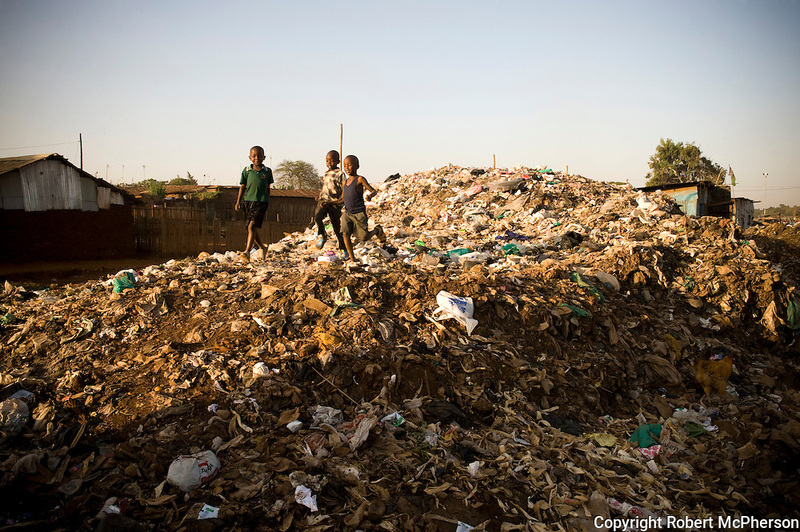 Kids playing at a garbage heap in Kibera...Kibera is Africa's largest slum and it is located in Nairobi, Kenya. It houses one million people squeezed into less than a square mile. Most people living in Kibera have little or no access to basic necessities, such as electricity, clean water, toilet facility and sewage disposal. The combination of poor nutrition and lack of sanitation accounts for many illnesses and deaths.